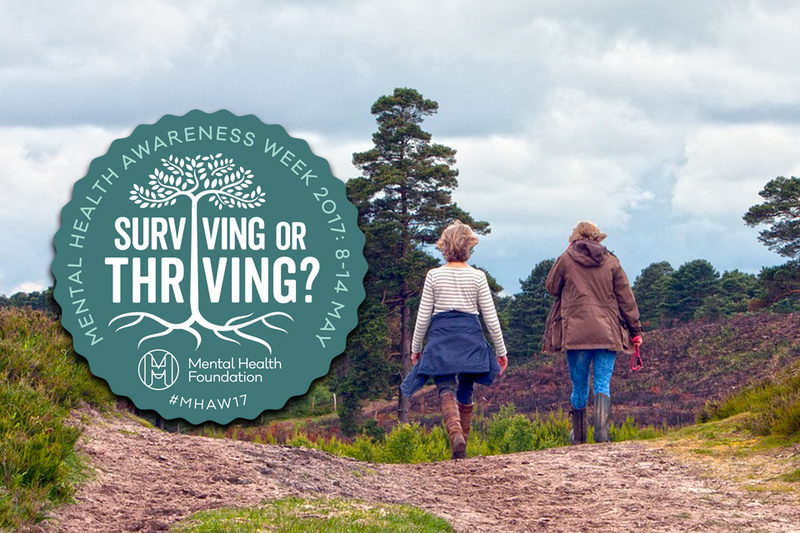 Jonathan Jones, Civil Service Health & Well-Being Champion, told us in his recent blog that the theme of this year’s Mental Health Awareness Week (8-14 May) was Surviving or Thriving and offered some useful tips on exercising for better mental health. Mental Health Awareness Week is important because it provides an opportunity to highlight this important subject. 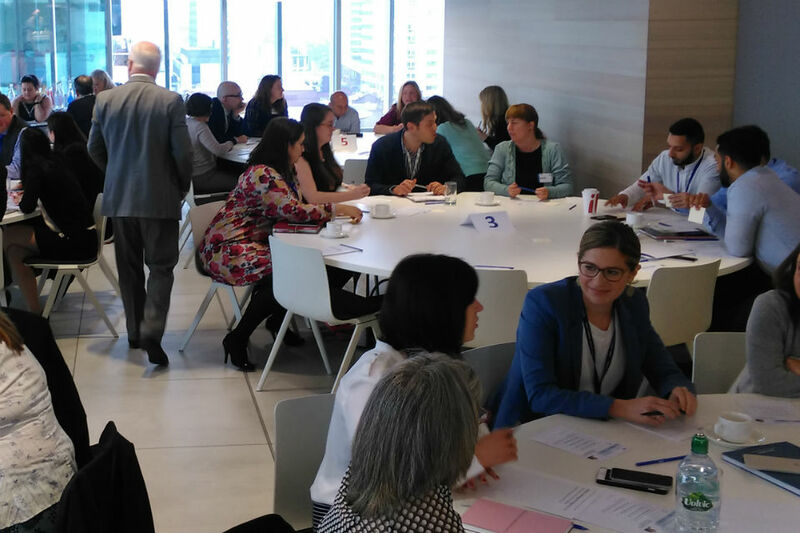 It was great to see many Civil Service departments organise supporting events, such as the Cabinet Office ABLE Network & WorkWell Group, DCMS’s Ability Network, and the HMRC Mental Health Group, who got together to put on a full programme of daily events. I filmed a video for a joint Civil Service/KPMG Mental Health event held in Manchester. This was the second in a programme of disability-themed events that seeks to harness our collective cross-sector knowledge and insights. Delegates, who were evenly split between Civil Service and KPMG, were asked to explore how many of us are surviving or thriving, what more we can do at organisational level to support our people to thrive; and what steps we can take as individuals to look after our mental health and build personal resilience. Two delegates, Sue Northcott from DVLA and Emily Rostamlou from KPMG, shared their personal and inspiring experiences of mental ill health; John Binns, MIND trustee and a member of our Disability Expert Advisor Panel, delivered a keynote speech; and leading organisations such as Business in the Community, Remploy, Business Disability Forum, Access to Work and ACAS participated in a highly interactive Speed Networking session. Feedback received from delegates has been excellent, with a strong appetite to run further joint events. And in my new role as Home Office Permanent Secretary I attended a mental health awareness event that showed the help available to colleagues in the department. The event emphasised the importance of creating a supportive environment in which we can break the stigma and be open about mental health. I learned much during the week and would like to share with you some of the key points that I took away. Firstly, a recurring theme from colleagues who have experienced mental ill health is the importance of others taking the time to have a conversation and let them talk about how they are feeling. Simply enquiring if they are OK and lending a non-judgemental listening ear can make a huge difference. Secondly, support is about empathy, rather than trying to solve the problem, which can be difficult for some of us if we like to be in control. Thirdly, there is lots we can do individually to look after our own mental health, such as walking and other physical exercise, listening to music, switching off technology and eating well. Fourthly, at organisational level we still need to do more to break the stigma around mental health and to create a culture in which our people feel able to openly talk about their mental health experiences. I found it inspiring to hear many of the speakers willingly share their personal stories and comment that they had gone through this and came out as better and stronger people. The importance of having a support network features strongly in the above points. So, I am pleased to be able to tell you about a new cross-government mental health network for sharing best practice, collaborating and representing colleagues affected, directly or indirectly, by mental health conditions. The group already has 92 individual members, representing 38 government and public sector organisations, including all central government departments. If you would like to join the cross-government mental health network or get in touch you can email cross-government-mental-health-network@digital.cabinet-office.gov.uk. Finally, I will close by sharing a quote that is attributed to several different people, but which I heard from Robin Williams, the great actor and comedian, who is sadly no longer with us. Thank you Philip. Your blog is very inspiring and I agree it is important to share our personal stories. I have lived with depression for many years and recently was diagnosed with borderline personality disorder. My manager supports me very well and through our Disability Network I know we can and are making a difference. Apologies to anyone that tried to email the cross-government network in the last 24 hours. I have now updated the group so that I will receive your messages. Louise, thanks for commenting, and glad the blog was useful. Personally, I think it's the stories of people with mental health conditions in the workplace that are really inspiring - or indeed the stories about people who've gone the extra mile to give their colleagues support. Thanks for all you are doing in MOJ and LAA, Philip. Thank you Philip for supporting this important topic. I should say that you have within the Home Office in Marsham Street a fantastic MH Buddy Network and Break the Stigma programme, which is well supported by Annette Henley and Debbie Pennington. As a member of the FCO Wellbeing Network my colleague and I seek to attend their monthly meetings and look to work on the Wellbeing Agenda in a collaborative manner. 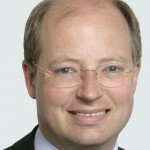 I am please to say that in support of Mental Health Awareness Week and the Charity for Civil Servants Walking Challenge, the Wellbeing Network was able to persuade the PUS at the FCO, Sir Simon McDonald, to find a space in his diary to join us on May 12th for a lunchtime walk around St James Park. Gavin, Thanks for sighting me and others on the great work undertaken by the MH Buddy Network and Break the Stigma programme in my department, the Home Office. Annette and Debbie can be proud of their work in overseeing this. I was particularly pleased to hear about the collaboration between FCO Wellbeing Network and Home Office colleagues to support the Wellbeing agenda. Also great to hear about a further noteworthy initiative the lunchtime walk around St James Park, in which Sir Simon McDonald, FCO Permanent Secretary, was able to find space in his busy diary to join you. These show the value of holding and commemorating an annual Mental Health Awareness Week. Thanks to everyone who's contacted me looking for more information about the cross-government network (I'm now able to talk about it more easily in an open forum). We had our kick-off workshop to start building our vision, aims, and terms of membership on Friday 16th of June, and I'm hoping to have this agreed by the current membership by the end of the month. The network is likely to be aimed at leads from departmental or regional networks (roughly encompassing anyone with a gov.uk email address), with the idea that people who are not leading local networks should work with those networks directly. If you're not aware of a local mental health network we can point you in the right direction, or where appropriate, advise you on how to get one started. Thanks again for all your interest! Apologies for my late reply as I was away on leave and have only just read this. It is great that mental health issues in the workplace is being tackled. And this is a very positive step forwards. I myself have suffered depression. It was mostly caused by the workplace but there were "outside" factors as well. Thankfully I am well now and hopefully i will remain that way. It has taken me the best part of three years to recover though. Being placed in a much better working environment has helped enormously. What would be good to see is more awareness and training sessions for line managers, particularly in relation to attendance management. For example, if a colleague goes off with depression and is given a sick note saying they need to be off for a month, but the colleague fearful of facing a written warning comes back before the sick note expires, then one needs to accept the authority of the GP and reassure the colleague that they will not be penalised with a written warning. The last thing a colleague with depression needs is to be facing threats to their record. And also in dealing with colleagues who may be experiencing suicidal thoughts as well. I know that it is a taboo subject, but it has to be tackled. I realise line managers are not expected to be counsellors, but it would be useful to have some training in recognising some warning signs. At the end of the day we are all human beings. We need to support each other in this turbulent world of ours. Charlotte, Thanks for sharing your own experiences of mental health and the importance of a supportive working environment. I share your view about the importance of providing training for line managers to be disability confident. This enables them to initiate conversations about mental health and to effectively undertake key management skills such as inclusive leadership and implementing workplace adjustments, and correctly undertake attendance management, the area which you specifically highlight. I have spoken about this in my previous 3Cs blog and received feedback at Civil Service Live which I will share in a forthcoming blog. I would encourage all line managers to complete the new Becoming Disability Confident learning offer and, for those unclear about correctly applying attendance management policies, to also complete available learning on Attendance Management. Finally, you make an interesting point about the importance of line managers recognising the signs of staff experiencing suicidal thoughts. This is covered in the Adult MHFA 2 day course offered by Mental Health First Aid England. There may be a role for MHFAs to cascade some of the learning to line managers by running Mental Health awareness sessions. There is also an Adult MHFA ½ day event which departments may wish to consider offering to line managers and a free Line Managers’ Resource containing lots of helpful advice. Hi Charlotte, I agree with everything you've said. My advice would be to work with the networks within your department to ensure HR policy is fair, and all staff are adequately trained. Mental Health First aid courses deal primarily with the necessity to talk about suicide. These courses are not for everyone, but every manager should certainly have some training around mental health, and everyone should have access to mental health first aiders (or some similar peer-support service). If you want to contact me, please email the address above with your contact details. Sue, I have touched on this point in my reply to Charlotte. Some organisations such as Mental Health First Aid England offer an Adult MHFA ½ day 'lite' event for non-MHFA staff, including line managers. In the Civil Service, we have recently provided mental health training for HR caseworkers and are piloting mental health training in the autumn for Executive Coaches, with a view to rolling this out to all coaches. Your point that others need mental health training is getting across, so feel free to continue nagging. Firstly, I have done the Mental Health First Aid course (though it was a few years ago) It is an excellent course, which taught me much - though it is very intense. To me this was far wider than talking about suicide. It was about how to spot signs of mental health, what to do if someone wants advice. It broke into sessions on basic steps, Depression, Anxiety ad Psychosis. There is also an excellent manual which accompanies the course. On a more general note, I think that whilst there is some good working going on in the civil service, there is still an awful long way to go. Knowledge of Mental Health issues and how to deal with them needs embedding in all management objectives. There is a woeful lack of knowledge in some areas. As someone who suffers from depression, it can be a constant fight with managers who just do not understand, and often leaves me totally worn out. But - it's not all bad we just need to get better at what we do in this area. Andrew, thanks for sharing your feedback on the Mental Health First Aider course and the accompanying manual. I agree that whilst there is some excellent work taking place we have much more to do in this area. I do recognise the need to upskill line managers on disability confidence and have identified this as a key priority. However, as you say, it is not all bad. Most line managers I meet want to provide support and are seeking the knowledge and tools to do this.